As soon as I bought the Magical Knitting book, I knew I just had to have a go, if only to work it all out. I am hopeless at interpreting directions until I get my hands on and do it. 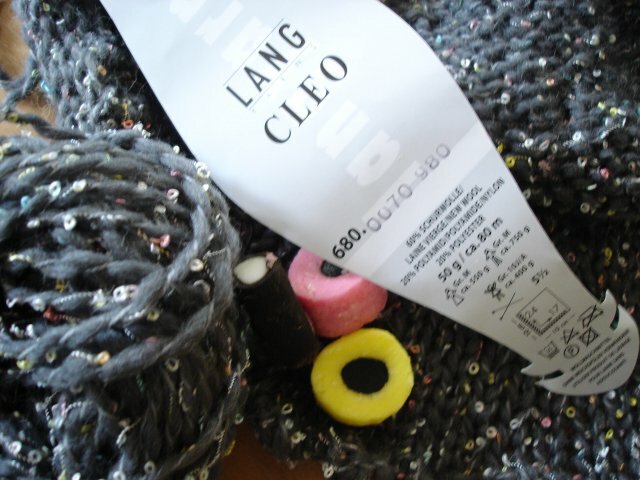 I had three balls of Lang Cleo in my stash from a trip to Zürich last Spring and armed with the larger 60" needles I bought in Boston, I cast on 160 stitches in the "mobius way" - actually a total of 320 stitches, but don't ask me to explain! I've knit the three balls up and am now casting off a picot edge - and it is taking forever. The yarn consists of a fairly thick untwisted wool with a strand of pastel coloured loopy synthetic running through. 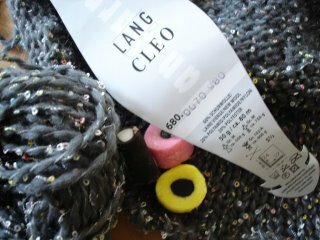 The pale pink and lemon yellow loops remind me of liquorice allsorts - any excuse to open a packet, eh, Jordi? !